Are you missing your jailbreaks? 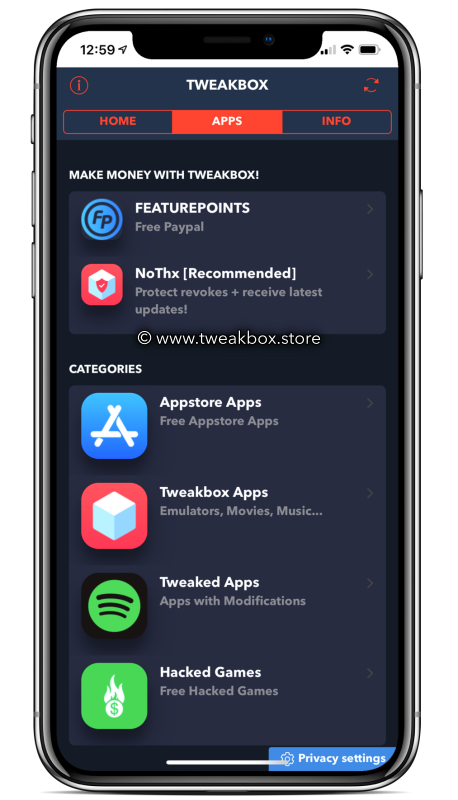 Fear not because there are plenty of Cydia alternatives and the top one is undoubtedly TweakBox app, offering apps, games, modified content and more for your iOS device. 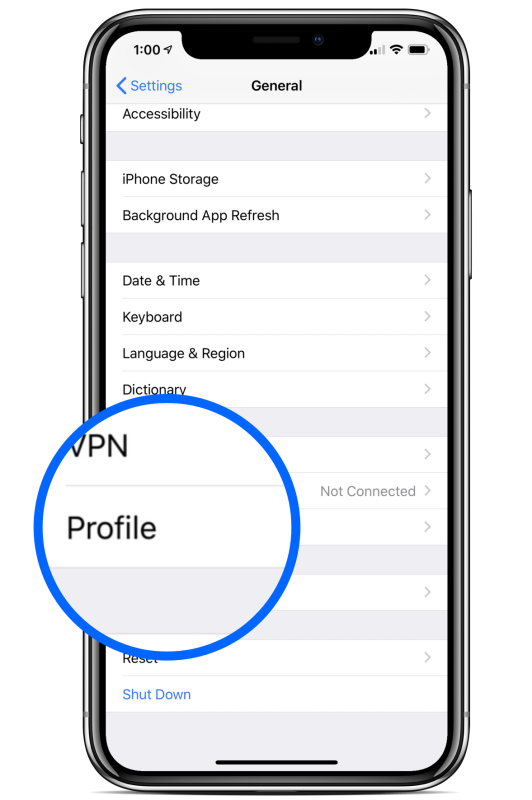 It is easy to install and use, does not require you to jailbreak and works on all iOS devices up to and including iOS 12. It’s FREE. Completely and utterly free as is everything in it. Now you want to know how to download it. When you see the app icon on your home screen, the installation has finished; tap the icon to start using it. If TweakBox is Not Working, then try other alternatives like AppEven app. You get all these fantastic features, not just for free but without a jailbreak too. Tweaked Apps – stock apps tweaked to provide new and better features, making the app more worthwhile. Modified Games – plenty of top games modified to provide new features plus in-app features and purchases. Try the app installer again, the error will not appear, and you can use TweakBox to download your apps and games. No, it won’t because you don’t install it in a way that will go against the security that Apple has in place and, unlike Cydia, it doesn’t break into the root of the iOS firmware. However, should you install a Cydia tweak from TweakBox, you must delete it ( tutorial below ) before you return your device to an Apple store otherwise your warrant may be voided. Yes, it is. TweakBox has undergone thorough and very rigorous testing during all development stages, ensuring there is no malware and no way for any to be introduced. The developers monitor the app very carefully and, if any bugs or issues do arise, they are fixed immediately. It doesn’t take up too much in the way of device resources, and it doesn’t clash with any other app or service on your system. To work, TweakBox doesn’t access the root of your device like Cydia does. Thus it doesn’t open your device to any external security issues, and neither do any apps or games from the installer. Lastly, everything is protected by SSL encryption, keeping your data and you safe. Jailbreaking and installing TweakBox differ in one primary way – jailbreaking has the potential to open your device to security issues and malware; TweakBox doesn’t. Using TweakBox will also “NOT” be a reason for Apple to void your warranty either; Jailbreaking is. Is It Possible to Request an App or Game? Yes, it is, but there are no guarantees that your request will be actioned. You can use the app developers Facebook feed below to do this but keep in mind that yours will be one of many such requests they get and not all apps or games can be added to TweakBox app installer. TweakBox is definitely one of the best installers we have with a very active admin and plenty of choice for all users. Download TweakBox today and get more tips like this by following us on Facebook. TweakBox apps don’t install anymore on the latest 12.2.0 iOS on iPhone 8 can install TweakBox the app but not its apps you want to install off it please can you fix this with an update. hi , the app is revoked for many apps and games. the tweakbox admin has restored access ton only a few limited apps like spotify etc. A few days ago I’ve been having problems downloading the Tweaked apps, already tried installing other apps, like AppValley, Tutuapp, but they did not work. I do not want to have to format my phone, and TweakBox does not install any apps, it does not even start a download. I await your response, regards. I donante every month and I want to know if the the tweak box will ever work again for pokemon go? its hard to tell. everyone is revoked right now. You should try TutuApp. 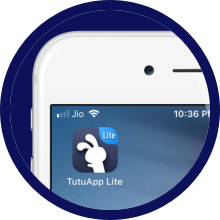 These guys released the TutuApp LITE version recently. Unable to install pokemon go. It was working yesterday. hi, the Tweakbox guys restored Spotify for some time, and then again the app certificate got revoked. try alternate sources like the Emus4U app where they claim a higher success rate. Tweakbox installer works fine on IOS 12.2 but no apps ie popcorntime will install due to compagnie marocaine developer not being trusted. This developer does not even pop up under profiles so it can be trusted. Will tweak box ever work again for apps such as popcorntime? Moviebox had already stopped working a few months ago, and popcorntime was an acceptable alternative. Now there are no apps available on tweakbox for movies and tv shows. Please let us know if it can or will be fixed or should we forget about tweakbox?